AUGUSTA, Ga. — Tiger Woods's final putt on the 18th hole at The Masters on Sunday was followed by thousands of posts on social media. From fellow professional golfers to former two sport stars like Bo Jackson and common folks like you and me, social media was buzzing about Tiger's return to glory. 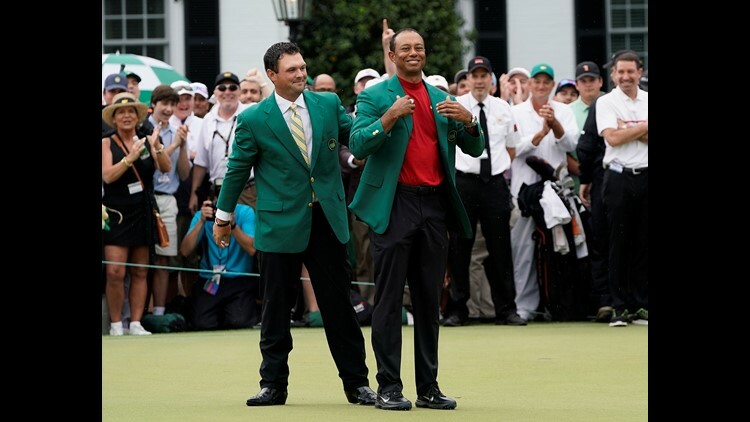 Tiger earned his fifth Master green jacket on Sunday, his first win in a major tournament since the 2008 U.S. Open and his first win in Augusta, Georgia since 2005. The social media buzz continued on Monday. 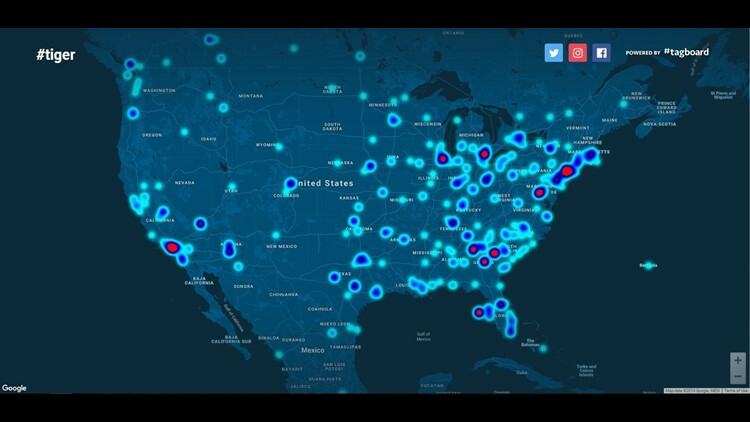 The map below is a Tagboard heat map, which measures the number of posts on Twitter, Instagram and Facebook with the hashtag, #Tiger. The leader of the free world, President Donald Trump, tweeted about Tiger. Trump tweeted he is offering Woods a Presidential Medal of Freedom for his success and his comeback.